If your with telstra next G and you want to tether with your new iphone 3.0 Software heres how to do it. I’ve just started another blog. Yep don’t you know it. Last night on Today Tonight, a popular TV show on channel 7, a money making scheme was shown called Freagle. Shown as the “Easiest Home Business Ever”, Today Tonight presented this story, interviewing people who have had major success using the program and the two of the site owners. Some would say the site has just paid some big bucks and used the today tonight as a big ad campaign for their money making program. I’m not going to discuss that part but if your interested, head over to this blog where its currently being discussed. The site http://www.easiesthomebusinessever.com.au is a monthly subscription program you can sign up to and they claim that using the program you can earn over $100 an hour following the simple tutorials and using their in house software called Freagle. Freagle also owns other companies such as Freestuffday & Layby. Ok, So What’s This Site All About? Great deals to be had @ koorong! Grab a bargain or two during Koorong’s massive 5-day sale! Please note that Koorong Mt. Lawley will be closed on the Labour Day public holiday Monday 2nd March. Also free postage for orders $125 or more. Remember how I told you about the new iPhone killer back in 08? Well its not far away with the Nokia N97 being released in late march. This amazing phone has these features which flogs the iPhone out of the water. A long 430 hours standby, 6.5 Hours Talk time & 37 Hours Music Playback! Now that you know what RSS is, time to learn how to start engaging with it and using software to subscribe to RSS feeds. What solution is right for me? 1. Browser Integration is best for people surfing the net all the time, who want to keep right up to date with their RSS and like it all in one neat bundle. 3. Online Software is best for people who want to view their feeds right around the globe from any computer there on, great for people traveling. Ok, now which software and how do I use it? 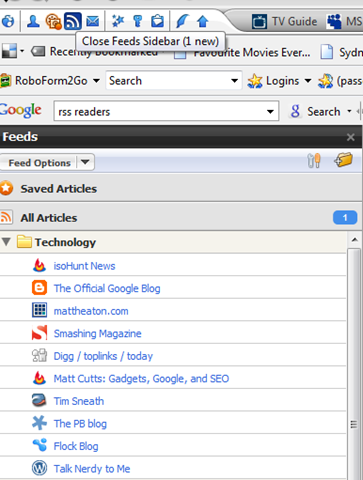 When a feed has been detected in flock, the rss icon will glow orange next to the address bar. 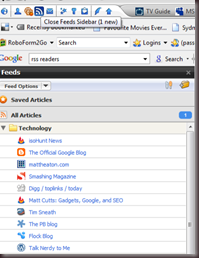 When you your feeds have a new content, the rss icon on the flock toolbar will glow orange, click it and your feeds are displayed. There are many other cool social web features that flock offers as well, for tutorials and information, type “about:flock” into your address bar. You can change in flocks options how often to check for new feeds as well. 2. Google Reader has been rated the best online feed software. Some advantages include mobile compatibility and many plugins that work with operating systems and software, designed by google themselves. Sign in or sign up if you don’t have a google account and start adding feeds, or watch this easy tutorial video from youtube. 3. Feed Reader 3 is a great offline RSS Reader. Similar to google reader in features but in a separate offline software package.